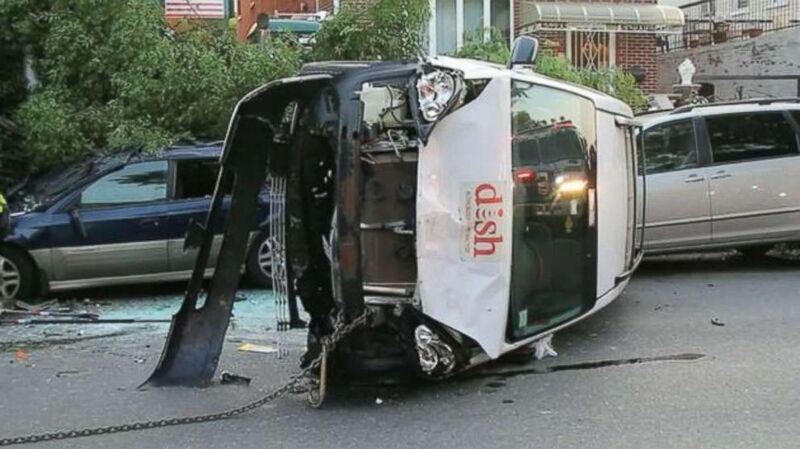 The driver left a trail of destruction in his wake in Brooklyn. 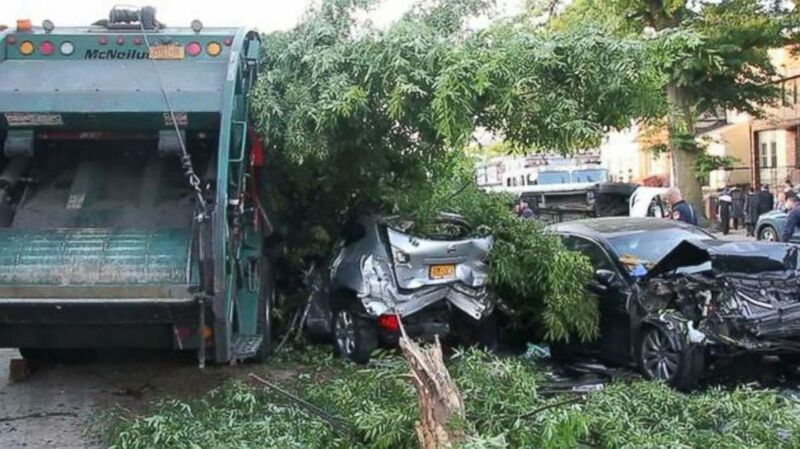 A drunk garbage truck driver in Brooklyn, New York, left an unbelievable trail of destruction in his wake Saturday morning, according to police. 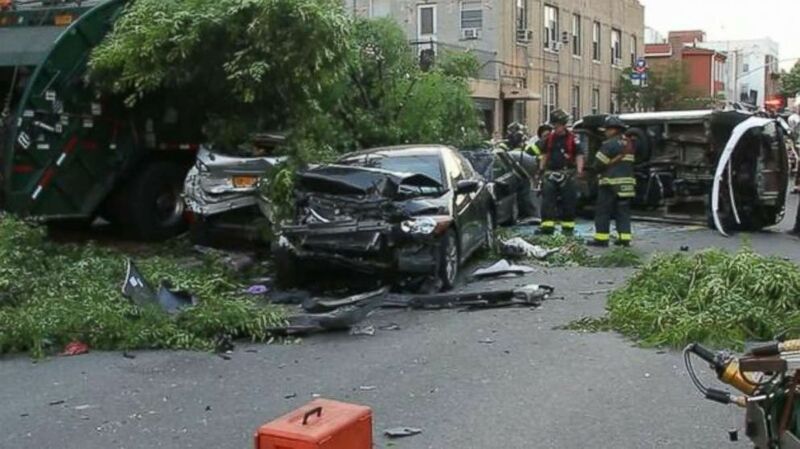 According to police, Anthony Castaldo, 40, was driving the garbage truck in Borough Park, Brooklyn, on Saturday morning when he plowed into nine cars parked on the side of the street, took out a tree and knocked over a house's front porch. 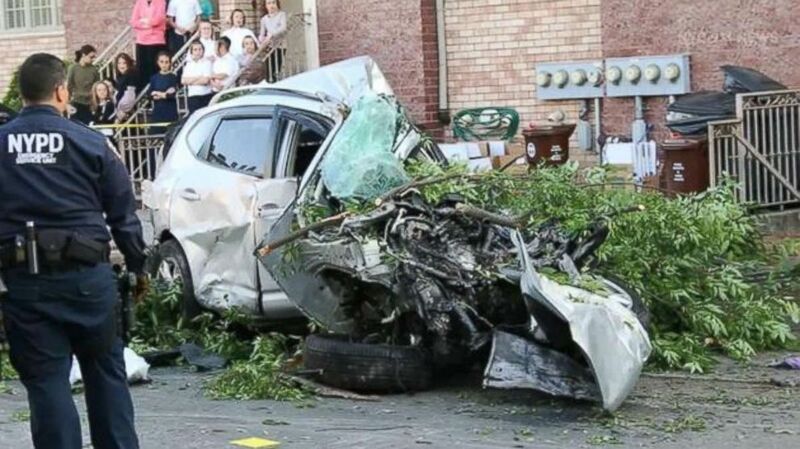 (WABC) A garbage truck driver was charged with impaired driving and several other crimes after plowing into nine cars in Brooklyn, New York, on June 9, 2018. Castaldo was charged with driving while impaired, reckless driving, leaving the scene of an accident and refusing to take a Breathalyzer test. New York ABC station WABC took photos of the incident which tell the entire story of destruction. Several cars were completely totaled, with some stacked on top of each other, and a large tree sheared in half. Castaldo drives for Viking Sanitation, which said it immediately suspended the driver. "Our company has a long track record of safety and we hold ourselves to high standards, including random drug testing for drivers," the company told WABC in a statement. "It appears that this driver failed to adhere to our standards and he was immediately suspended as part of the ongoing investigation of this serious incident."